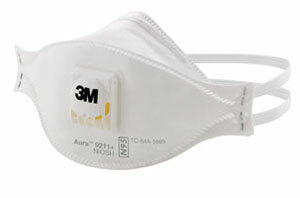 The Aura Particulate Respirator 9211+ features a comfortable braided headband; contoured nose panel; and chin tab for easy positioning, donning and adjustment. In addition, the Aura respirator design has an embossed top panel that helps reduce potential fogging from warm, moist, exhaled airflow. 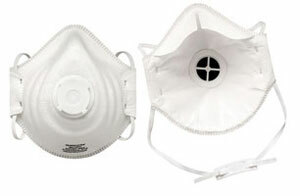 Individual packaging helps protect the respirator from contamination before use. The Full Mask Supplied Air Respirator, available as a low-pressure or high-pressure system, is made of silicone rubber for durability. 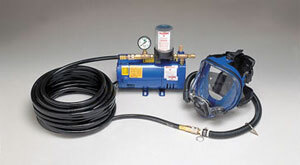 The respirator maintains its shape even in extreme heat and cold. The polycarbonate lens offers a wider, distortion-free viewing area with an anti-fog, anti-scratch coating. 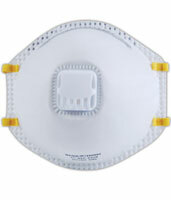 PeakFit is a NIOSH-approved N95 particulate respirator specifically engineered for user comfort and safety. 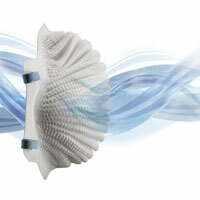 PeakFit’s large, contoured shape helps make breathing easier. The molded nose bridge fits most faces, with no metal nosepiece to pinch. Three versions are available – PeakFit, PeakFit OV and PeakFit AG – to provide protection against a variety of contaminants. Equipped with an ergonomic single-filter design, dual speeds, two alarms and a visual fuel gauge, the EVAHL Powered Air-Purifying Respirator is compact and streamlined. It is NIOSH-approved and certified by CSA International for hazardous locations Class I, Division 2, groups A, B, C and D T6; Class II, Division 2 Groups F and G; and Class III. The IR1950N95 Disposable N95 Respirator features an improved exhalation valve design that delivers enhanced comfort and breathability. Engineered to maximize ventilation while maintaining a solid barrier against airborne particulates, this high-efficiency valve keeps the wearer’s face cool and dry. IR1950N95 respirators are NIOSH N95 42CFR84-approved to filter out at least 95 percent of solid and non-oil liquid airborne particulates 0.3 microns and larger. The AV-3000 facepiece with SureSeal system features a U-shaped seal design that flexes with every movement of the facepiece, resulting in a higher fit factor and more comfortable seal. For proper and quick donning, a positioning tab is located on the back of the head harness. The smaller Kevlar or Poly head harness design eliminates bunching under helmets and hard hats. 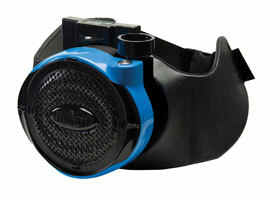 The AirWave 4600 series respirator features unique waves that double the filter area for less resistance and better breathability. 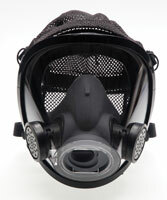 The respirator has a Dura-Mesh shell that is durable and long-lasting, as well as FlexFit comfort waves that flex with the user. It also has a SmartStrap that is adjustable to fit more workers comfortably and can hang around the neck when not in use.